This month we are planning a first in a series of unique, educational events happening at Debony Salon! On August 23rd, from 3:00pm to 6:00pm, join us for Debony Salon’s “Beauty School 101” night, which is a ladies night with a focus on tips and tricks that make a big difference in how we look in no time at all. Many of us would like to improve various aspects of our appearance, but just don’t feel we have the time or talent to do so. If this is you, grab a girlfriend and come to ladies night! The format will be a casual cocktail with a “main stage” event. In salon talents such as Tarmey Ross, Sarah Jette, and yours truly will dig into the treasure trove of beauty secrets that will have you turning cute do’s, and glowing skin out of your bathroom in no time at all. This night is sure to be filled with laughs and camaraderie. We hope you can join us! Continuing education is so important to me and all of the staff. It is vital in the beauty industry because things change so quickly. As service providers we work in an enviornment where not only do the trends change and influence what we are doing from a style perspective, but so does the product medium, the tools we use, and the technology available. I am inspired to be surrounded by people who are as thirsty as I am to stay with it. In 2017 collectively we have attended trainings for cutting, long hairdressing, skin care, hair removal, and coloring. We attended the IBS Beauty show in New York City. In November, the Debony Salon Staff will travel to Cancun, Mexico to attend a three day seminar with L’anza’s International Art Team. Not a bad location I might add for this event;). It occurred to me that you may be thirsty too! If so, stay tuned. You can find more information about this, our first in a series of educational events, here on our website. We look forward to sharing some of what we have learned to help you create your best version of you! P.S. – that’s me at the start line of a bike race in Boundbrook, N.J.! 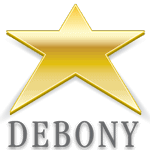 PreviousPrevious post:Beauty School 101 at Debony Salon!NextNext post:Help Debony Salon Find its Next Apprentice!